Hey, at 2.67 cents a mil you really can’t do better in this over-taxed wine market. It’s a 91-pointer from Robert Parker so you know exactly what you will get before you cork (unscrew) it: There will be some big jammy fruit with a lingering oaky finish. This does not disappoint in any respect. Rather than lay it on thick I will simply say buy it by the case, lie a few down if you can! Parker claims it will drink well until 2016 (good luck with that). We bought a bottle, then a few more. I think I was the only one buying it. We took a few bottles for housewarming gifts. This is the sort of wine that on the second sip people go, even people who don’t drink much wine, go “this is a really good wine.” If there’s a fault it is perhaps too approachable. But it has that smooth deep Australian je ne sais quoi which makes it tops. Writing plaudits about this wine is a bit like blogging about a favorite restaurant: Its days may be numbered. So it goes. Price: $19.99 at BC liquor stores. Market Liquidity: Buy lots. Lots and lots. Quick. Before Gismondi raves about it and it disappears and comes back at $23.99! Not a lot of superlatives come to mind. No one really thought, sipping it before dinner, there was anything special to blog about although I had clipped the winemaker’s notes as “refreshing, off-dry, blend” to no avail. It seemed a little flat with a nominal finish. With food (e.g., Nasi Goreng, Asian fried rice) it was considerably more lively, some floral notes and an oxymoronic tart-sweetness that was quite becoming. Price: $15.99, widely available at BC liquor stores. Market Liquidity: Not our first pick, not our worst pick. Full disclosure: First, there is no bad wine from Alsace. This “fact” is not up for debate so save your breath. Second, Pierre Sparr can do no wrong. So that’s my starting point, that’s my wine ethos, you know everything there is to know about me! Third, though, there is a first time for everything. This wine we found sharp, rather flat, and altogether a sipping and meal-go-with disappointment. Despite, as I said one second ago, being fans, even excited to have an “under $20” Sparr. There was no enjoyment before dinner, it didn’t complement our seafood supper, it lacked the finesse that makes Rieslings so esteemed, and worst of all it shines poorly on the Sparr house. What a phenomenal letdown. 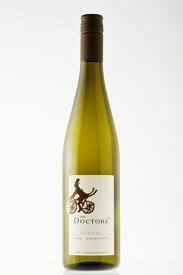 Price: $18.99 at BC liquor stores. Market Liquidity: A shocking letdown. No second chance. 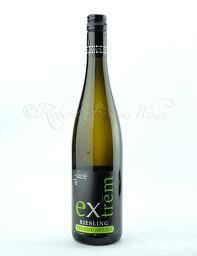 Oooh la la: A rich sweet Riesling from New Zealand. Lottsa residual sugar. On first sip sweet like a lolly, then luscious, lovely, lingering. The sweetness fades, lemon and melon come through on the finish. Like discovering sliced bread. What else? 8.5 per cent alcohol. I repeat: 8.5 per cent alcohol. It’s a miracle! All my prayers have been answered! What a superb lunch quaff. Screw top to boot. We could find no fault. Price: $19.99 at BC Liquor, if you can find it, or $6 more at Liberty. Market Liquidity: Under $20, by the grace of God; stock up.